Inspired by a performance by the San Jose Taiko Group at the 1979 Powell Street Festival, members of Vancouver’s Asian community came together to form their own taiko group as a means of exploring and celebrating their heritage through the Japanese drum. 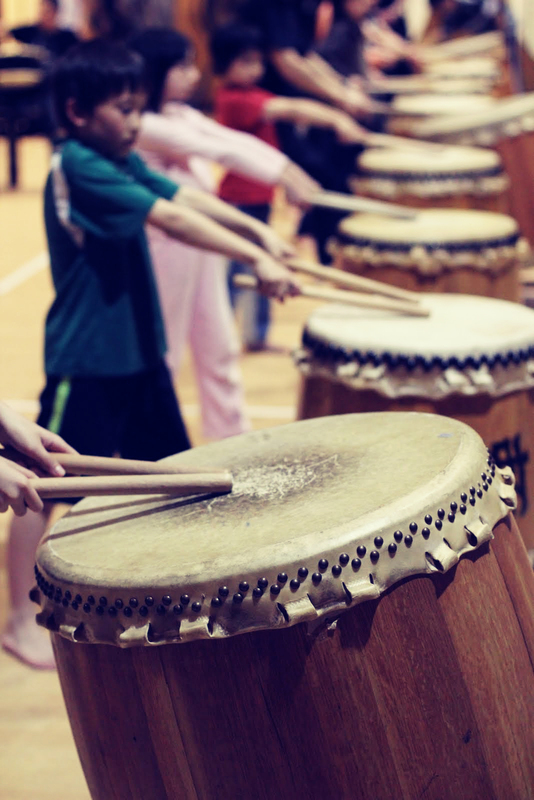 With the formation of Katari Taiko in the fall of 1979, Canada’s first taiko group was born. Using a taiko borrowed from the Steveston Kendo Club and beating on spare tires with sawed-off broom handles, members began learning the rudiments of the art form. Workshops with Sensei Seichii Tanaka of the San Francisco Taiko Dojo and Kenny Endo soon followed, as did a trip to Japan to learn from established groups such as KODO, Oedo Sukeroku and Osuwa Daiko. Over time, using a collective model with rotating leadership, Katari Taiko came to represent the emergence of a distinctive Asian Canadian voice. The group gave its first public performance in Faro, Yukon and was soon performing at events throughout the lower mainland and across Canada. As word spread, the group was asked to give workshops in Japanese Canadian communities across Canada. These workshops led to the formation of groups in cities like Winnipeg, Edmonton and Toronto. Katari Taiko at the Vancouver Folk Music Festival, circa 1983. Photo by Tamio Wakayama. 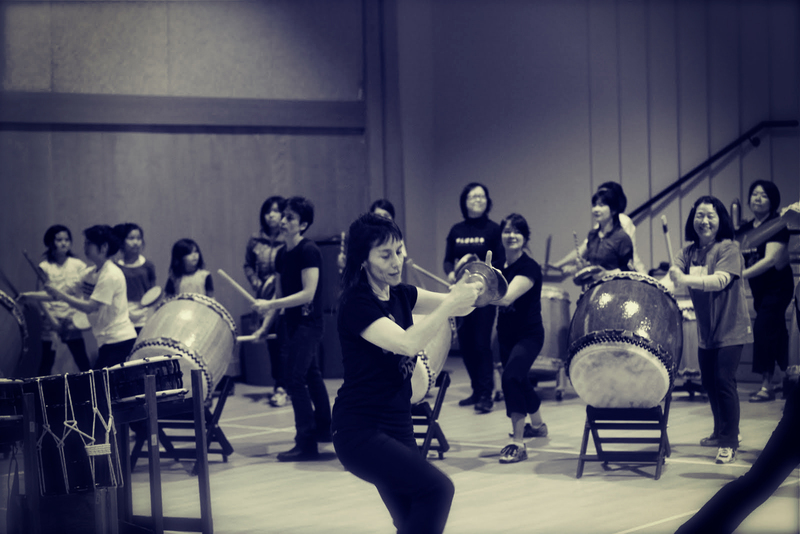 In time, as members came and went, Katari Taiko gave rise to a number of splinter groups in the lower mainland. 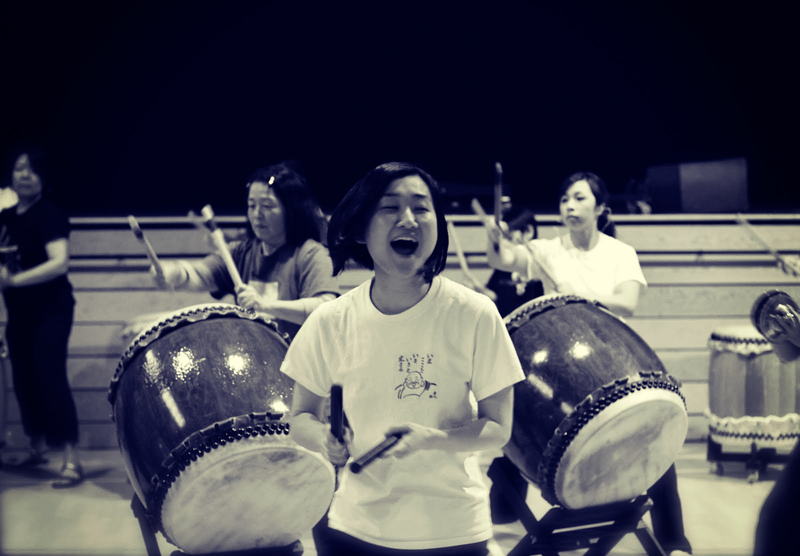 Present-day ensembles Uzume Taiko, Chibi Taiko, Sawagi Taiko, LOUD and Sansho Daiko can trace their lineage directly back to the early days of Katari Taiko. A new generation of taiko players is starting to assert itself as the children of some of the original players, who have played the drums since they were young, are coming into their own. 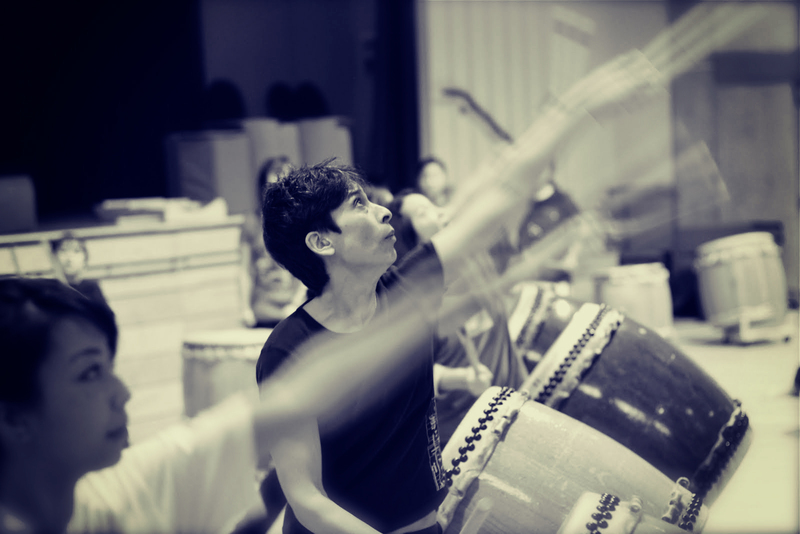 As well, newer groups like Yuikai Ryukyu Taiko–an ensemble with roots in Vancouver’s Okinawan community–are beginning to emerge, injecting a new energy and new ideas into the local taiko scene. Today, Vancouver’s many taiko groups are part of a burgeoning world music scene on the west coast. Connections to other taiko groups and players from around the world are maintained through participation in the North American Taiko Conference–held every two years in Los Angeles–and the Regional Taiko Gatherings, held alternating years in either Seattle or Vancouver. 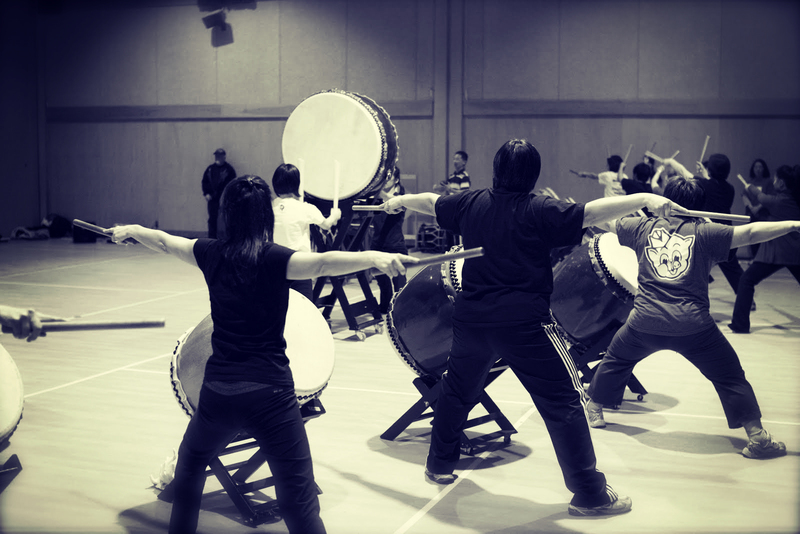 The Vancouver Taiko Society was formed following the 2002 Regional Taiko Gathering, held in North Vancouver, with representatives from several of the city’s taiko groups making up the board of directors. The society organized the 2008 RTG , also held in North Vancouver, and the 2016 RTG, held at the Britannia Community Centre in Vancouver. 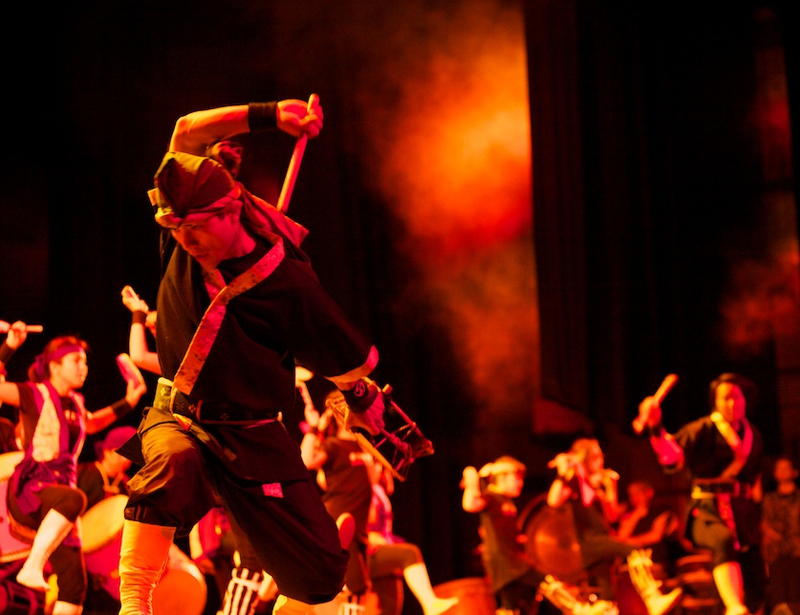 On April 19, 2011, five weeks after a devastating earthquake and tsunami hit the Tohoku region of Japan, a fundraising concert, Ganbare Japan!, was held at Vancouver’s Queen Elizabeth Theatre. Presented by the BC Japan Earthquake Relief Fund (BC-JERF), the concert featured a broad range of performers from across the musical spectrum. In a special treat, Jon Kimura Parker and over forty members of the Vancouver Symphony Orchestra performed Mozart’s Piano Concerto #27 K595. Other performers included Erin Wall, David Pomeroy and Kinza Tyrrell from Vancouver Opera, dancers and singers from the Squamish Nation, Takeo Yamashiro on shakuhachi and butoh dancer Jay Hirabayashi. A who’s who of the local music and dance scene including Jim Byrnes, The Sojourners, Bill & Saffron Henderson, Mae Moore, 54-40 and Simon Kendall took the stage for the second half. The evening concluded with an unprecedented collaboration between members of the Vancouver taiko community. Representatives from Chibi Taiko, Katari Taiko, Sawagi Taiko, LOUD, Sansho Daiko, Tetsu Taiko and Yuaikai Ryukyu Taiko along with independent taiko players Eien Hunter-Ishikawa, Bonnie Soon, Leslie Komori and Boyd Grealy joined forces for a twenty-minute taiko tour-de-force that raised the roof for the Japanese people. The drummers were joined by Squamish dancers and drummers Spakwus Slolem, and as over 14,000 origami cranes rained down on the stage and the audience following the final drum beat, the energy in the theatre was palpable. 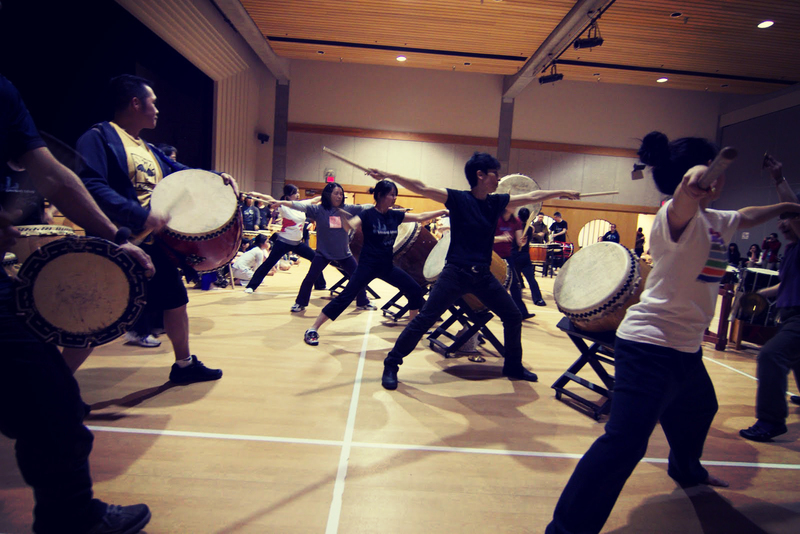 Taiko for Tohoku was a truly intergenerational endeavour that reflects the 32-year development of taiko in Canada. 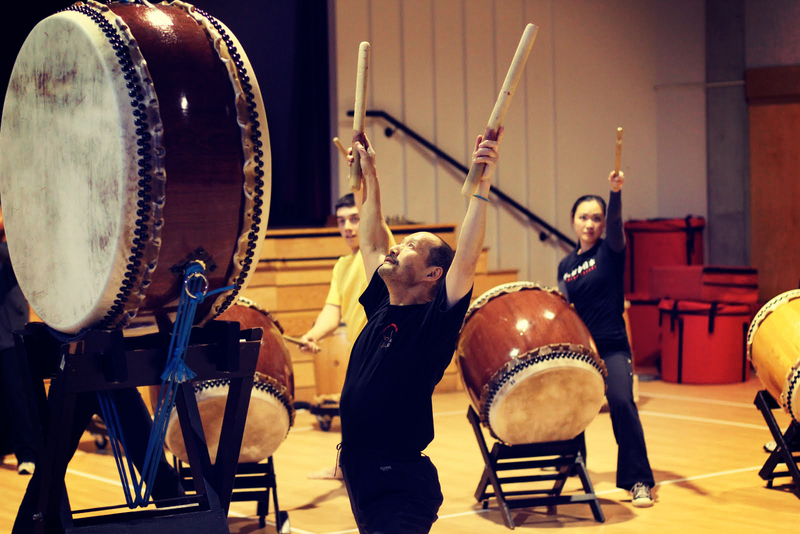 The project was driven by many of the pioneers of Canadian taiko—drummers who helped shape this unique art form in its earliest days and continue to have an impact on its development. At the other end of the spectrum, the youngest members of the collaboration represent the next generation of taiko players. 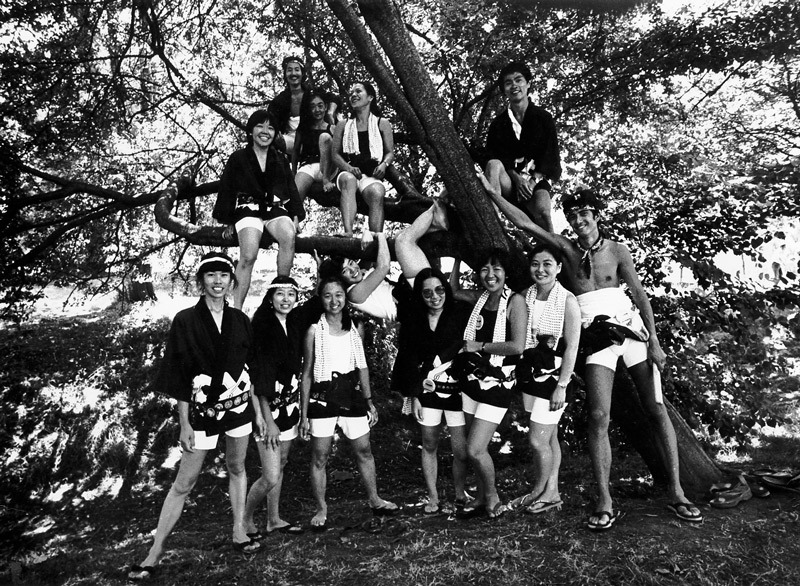 Junior members of Chibi Taiko and Yuaikai Ryukyu Taiko range in age from six to their early twenties, bringing a youthful vitality and energy to what was a once-in-a-lifetime event.